China has recently emerged as one of Africa’s top business partners, aggressively pursuing its raw materials and establishing a mighty presence in the continent’s booming construction market. Among major foreign investors in Africa, China has stirred the most fear, hope, and controversy. For many, the specter of a Chinese neocolonial scramble is looming, while for others China is Africa’s best chance at economic renewal. Yet, global debates about China in Africa have been based more on rhetoric than on empirical evidence. Ching Kwan Lee’s The Specter of Global China is the first comparative ethnographic study that addresses the critical question: Is Chinese capital a different kind of capital? 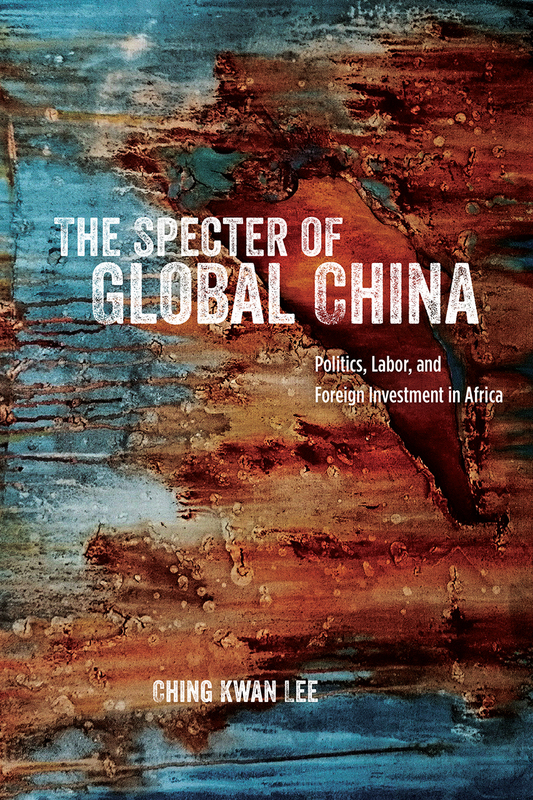 Offering the clearest look yet at China’s state-driven investment in Africa, this book is rooted in six years of extensive fieldwork in copper mines and construction sites in Zambia, Africa’s copper giant. Lee shadowed Chinese, Indian, and South African managers in underground mines, interviewed Zambian miners and construction workers, and worked with Zambian officials. Distinguishing carefully between Chinese state capital and global private capital in terms of their business objectives, labor practices, managerial ethos, and political engagement with the Zambian state and society, she concludes that Chinese state investment presents unique potential and perils for African development. The Specter of Global China will be a must-read for anyone interested in the future of China, Africa, and capitalism worldwide. "Lee deserves praise for her enviable ethnographic research: the myriad interviews and observations that inform her findings make for a richly textured study. Her book is a major contribution to the China-in-Africa literature." "[A] masterful deployment of the global ethnographic method as a tool for rigorous conjunctural analysis. . . . The Specter of Global China will undoubtedly appeal to geographical political economists, critical resource geographers, Asia and Africa scholars, and economic sociologists who wish to understand the contemporary moment of economic restructuring, particularly as it unfolds in a non-North Atlantic setting." Ching Kwan Lee is an excellent ethnographer and the access she obtained to mining companies through her friendship with Zambia’s former acting president is exceptional. For academics studying mining or construction in Zambia, with or without a Chinese focus, this will prove an invaluable text purely for its details. Its core depiction of Chinese State capital is an interesting insight that opens productive space for the ongoing study of both China and other forms of capital.